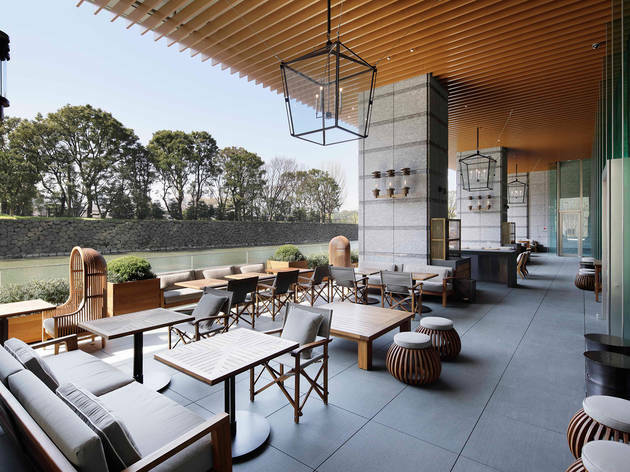 Marunouchi's Palace Hotel Tokyo has returned from its recent renovation like a particularly sparkly phoenix from the ashes, with a host of excellent restaurants to try. 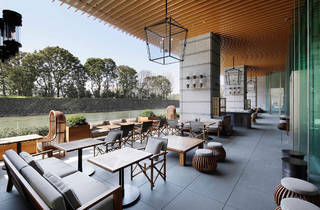 For a meal with a view, though Grand Kitchen's outdoor terrace, which overlooks a moat that links to the Imperial Palace, is a great choice. Grab a table for breakfast and gaze across the waters at Wadakura Fountain Park, or enjoy American, French, Spanish and Italian dishes at lunch or dinner. Delicious meal, stunning decor and lovely staff - we enjoyed our dinner so much that we dined here twice during our last visit. We plan to dine here again in October.